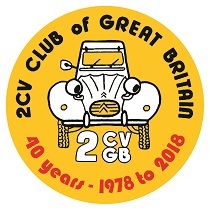 2CVGB's 10 vehicle Registers primarily exist to keep track of the vehicles still known to be in existence within the Club and, where possible, to document their history, as well as to help 2CVGB's members keep their cars on the road by sharing our technical knowledge and experience. Your Registrar is a valuable resource! Each Register is maintained by an enthusiastic and knowledgeable Registrar, who can provide you with information about the model, sometimes help with import documentation. Your Registrar has been deemed qualified to give an insurance evaluation for the vehicle which is his or her speciality, as has the DVLA Liaison Officer. 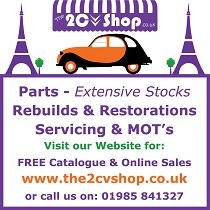 2CVGB members: 1st vehicle £25 and any subsequent ones within the following 12 month period, £50 each. Your vehicle may already have been registered with us by a previous owner, but if you are new to the Club, or have just bought a vehicle, please let us know about it. To register your vehicle, go to the relevant Register's page and download the registration form and post it to the relevant Register - details available in the magazine. 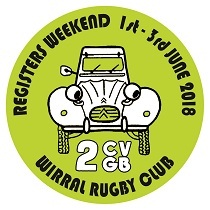 Each Summer, 2CVGB organises Registers' Day - a Weekend where we shine up our vehicles and join in the various Register line-ups, awarding prizes for the vehicles judged best in each class by popular vote. Vehicles that have won their class three times are eligible to enter the Masterclass - a very sought-after accolade! For the document relating to the Registration of Vehicles with the DVLA, please click on the link below and download the document. For the Nova application form and notes on completing the Nova application, please click on the two links below.